While winter air can have adverse effects on your health, there are some ways in which you can improve the quality of this air during winter months. Damp air produced by hot showers or moisture from the use of the stove or oven can create a humid environment which will encourage the growth of mold and other bacteria. By installing a dehumidifier, you can get rid of the damp air, keep the air clean, and overall improve air quality in your home. Vacuuming and dusting will help to reduce dust and bacteria. Mopping the floors and having your carpets and upholstery professionally cleaned using suitable cleaning products can also effectively kill germs. When possible, choose chemical free natural cleaning products because the more chemical based products you use, the more chemical fumes will circulate in the air in your home. Try using a face mask when performing cleaning tasks as this can help reduce your exposure to unclean air. Once you get rid of all the accumulated dust and dirt, you have taken another step to improve air quality. Do indoor and houseplants improve the air quality of your home? Why yes they do. Plants respire oppositely to humans; they utilize carbon dioxide and produce oxygen, so they help to provide oxygen-rich air. Some plants such as the peace lily are air-purifying and can neutralize certain chemicals like ammonia. The garden mum was researched by NASA to use on their spaceships and proved to remove formaldehyde, benzene, and xylene from indoor air. 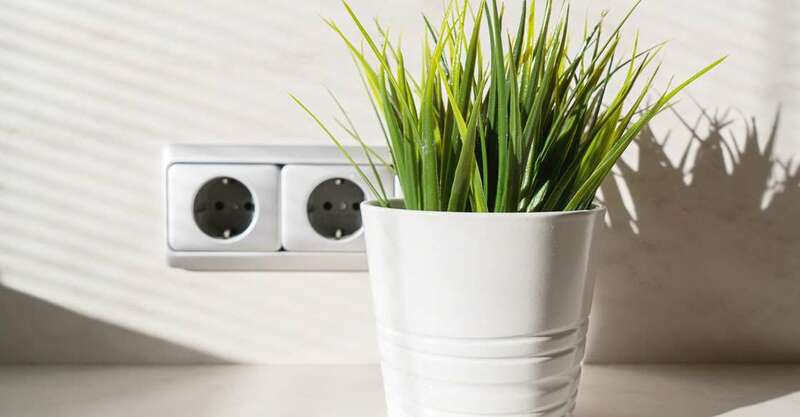 These air-cleaning houseplants are easy to find at garden stores, so the solution to how to improve air quality might be easily solved by adding a few plants to your home. We all know that smoking is detrimental to health, but having smoke inside your home can be particularly harmful to you and others. Smoking indoors where air continuously circulates without a place to escape creates smoke infused air that is even more concentrated for more extended periods of time and can be harmful to health. Quitting would be the ideal solution, for many reasons, but if you or a guest has to smoke, do it outside. Most regular candles contain petroleum, which when lit produce smoke and soot in the air. Beeswax candles do quite the opposite. When alight, a candle made from beeswax will produce negative ions which help remove and neutralize toxins and pollution. This slow burning candle is quite the gem as it costs very little and can have a massive effect on the improvement of indoor air quality. Heating maintenance, specifically yearly maintenance, will prevent dirt build upon your heating system, improve air quality, and reduce indoor air pollution. Here at Global Heating and Air Conditioning, we offer both residential and commercial heating services so whether you are heating business of your home, you can ensure that you are in the hands of the professionals.